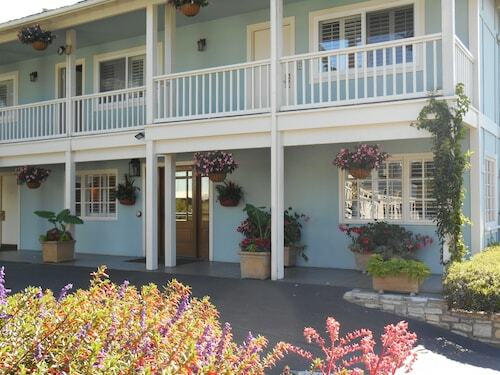 Located in the heart of Marina, this motel is within a 10-minute walk of Marina State Beach and Monterey Bay. Marina Dunes Preserve and Fort Ord Dunes State Park are also within 2 mi (3 km). Situated near the beach, this hotel is 1.6 mi (2.6 km) from California State University Monterey Bay and 1.8 mi (2.8 km) from Monterey Bay. Fort Ord Dunes State Park and Marina State Beach are also within 3 mi (5 km). Built along Monterey Bay, this beachfront resort is set across 19 acres of protected sand dunes; Monterey is 10 miles away. Its convenient location near the marina allows guests to partake in local whale-watching excursions. 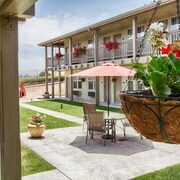 Situated by the ocean, this motel is within a 10-minute walk of Marina State Beach and Monterey Bay. Marina Dunes Preserve and Fort Ord Dunes State Park are also within 3 mi (5 km). 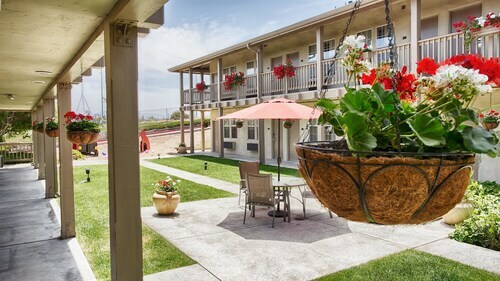 Situated in Marina, this hotel is within 3 mi (5 km) of Fort Ord Dunes State Park, Marina State Beach, and California State University Monterey Bay. Bayonet and Black Horse Golf Course and Pebble Beach Golf Links are also within 16 mi (25 km). 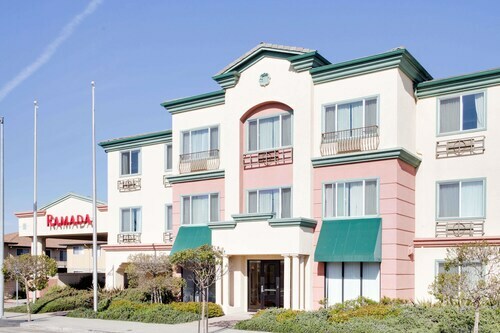 Situated near the airport, this hotel is within 1 mi (2 km) of Marina State Beach and Monterey Bay. Marina Dunes Preserve and Fort Ord Dunes State Park are also within 2 mi (3 km). 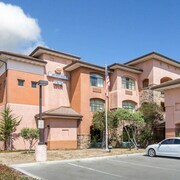 Situated near the beach, this hotel is within a 10-minute walk of Marina Dunes Preserve and Monterey Bay. Marina State Beach and Fort Ord Dunes State Park are also within 3 mi (5 km). 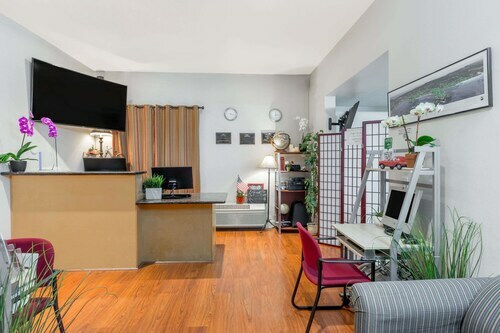 Situated near the beach, this hotel is 1.2 mi (2 km) from Marina State Beach and within 3 mi (5 km) of Monterey Bay and California State University Monterey Bay. Fort Ord Dunes State Park and Marina Dunes Preserve are also within 3 mi (5 km). How Much is a Hotel Room in Marina? Hotels in Marina start at $64 per night. Prices and availability subject to change. Additional terms may apply. Traveling to Marina? There is a wide variety of perfect places to stay to choose from. Travelocity's comprehensive database contains 42 rooms within a 6-mile (10-kilometer) distance of central Marina. Those visitors seeking Travelocity-listed rooms close to the center of Marina, can look at Ramada Marina and Howard Johnson Marina At Monte. 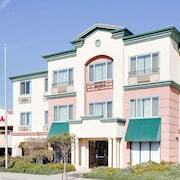 2 miles (3 kilometers) away from the middle of Marina is the Monterey Beach Dunes Inn. 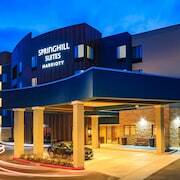 This hotel is an excellent option for visitors seeking cheaper lodgings. Another no-frills option in this region is the Ramada Marina. The L Auberge Carmel is positioned 11 miles (18 kilometers) outside of the main part of Marina. Another accommodation option is the Carmel Valley Ranch, which is about 11 miles (18 kilometers) away. The Hyatt Carmel Highlands and also the Bernardus Lodge & Spa are two other recommended accommodation options worth checking out around Marina. 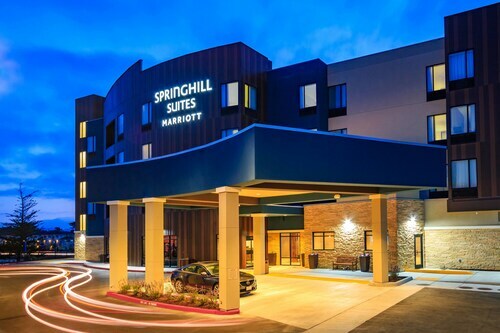 If time is on your side, why not broaden your horizons and investigate the other sights located around Central California during your stay here? Nature lovers will appreciate Central California's valleys and rolling hills. You should also explore the area's lighthouses. Active visitors may also love snowboarding in this part of United States of America. Pacific Grove is 9 miles (14 kilometers) to the southwest of Marina and boasts Point Pinos Lighthouse and Lone Cypress Pine. 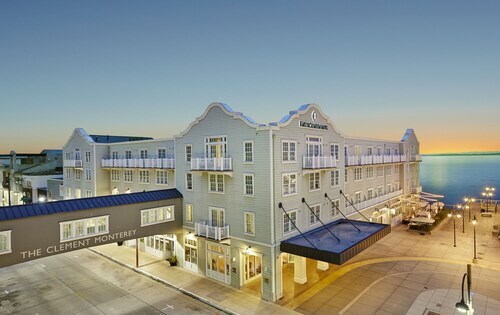 The Monterey Plaza Hotel & Spa and InterContinental the Clement Monterey are just some of the Travelocity-listed accommodation alternatives in Pacific Grove. 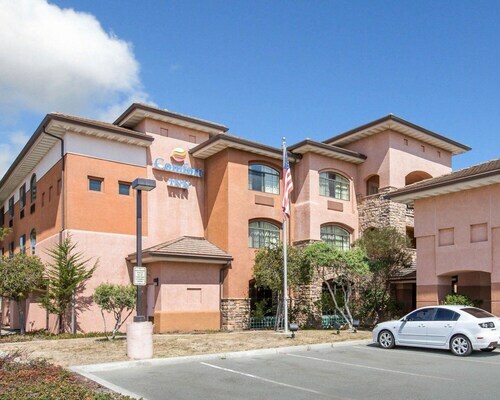 7 miles (12 kilometers) to the east of Marina, you will find Oldtown Salinas, home to the Residence Inn by Marriott Salinas Monterey and Courtyard by Marriott Salinas Monterey. If you visit Oldtown Salinas, don't miss the Aguila Cultural Center and First Mayor's House. Ensure a fix of sport with a voyage to SAP Center at San Jose, which is found 45 miles (74 kilometers) to the north of Marina. 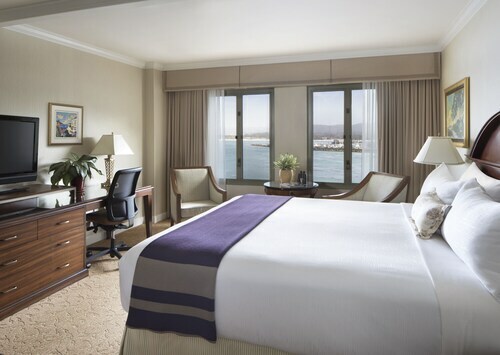 Enlightened travelers who enjoy the ease of booking accommodation close to the stadium, reserve a room in the Hotel De Anza or The Fairmont San Jose. 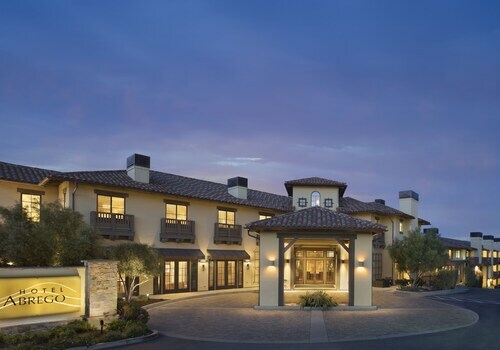 For those travelers planning on arriving or departing via Monterey Peninsula Airport, you may like to stay at Portola Hotel & Spa at Monterey Bay, or Hyatt Regency Monterey Hotel & Spa, which can both be found a short distance away. Need insider tips on must-see attractions in Marina? Check out our Marina travel guide! 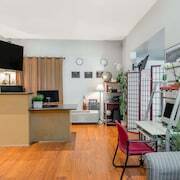 Pros: huge, airy room, comfortable need, big bathroom with big walk-in shower, excellent s la carte breakfast (extra cost), close to Tesla Supercharger. Cons: no EV chargers on the property. 2 weeks ago by A verified traveler from Winton ca. There was no air conditioning and thew lack of handicap parking. The key card continued to fail. The view from the room was lovely. The plants around the property are well cared for.